Our energetic and stylish Manhattan Beach hotel has a resort feel, making it easy for guests to unwind and relax. 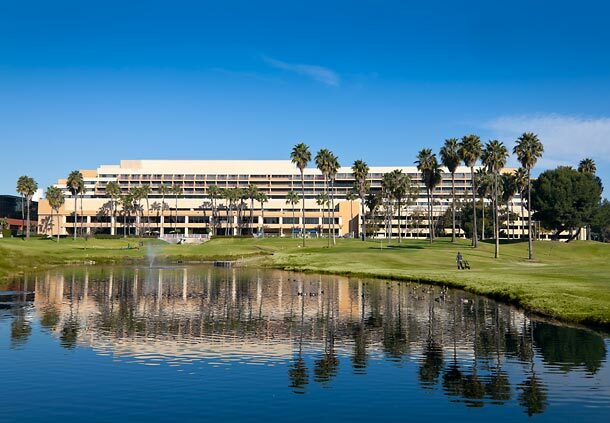 Located in the upscale South Bay area, the Manhattan Beach Marriott sits on 26 beautifully landscaped acres 3 miles south of the Los Angeles International Airport. Upon completion of a $7 million renovation, our hotel now features high speed WiFi in all guest rooms and public spaces, helping guests stay connected and productive. Our ideal location is within walking distance to area beaches, businesses and shopping, perfect for business or leisure travelers. Guests can enjoy a round of golf on our 9-hole course, a swim in our heated pool or a brisk workout in our health club. Experience a variety of delicious options in our View Restaurant or wind down in Escape, on the lobby level. At our Manhattan Beach hotel, you can indulge yourself in the classic, laid-back lifestyle of sunny Southern California. We do our part to keep California GREEN and we're proud that we're an Energy Star certified hotel.